Media and Contents: 176 plastic parts, 2 photo-etched frets. 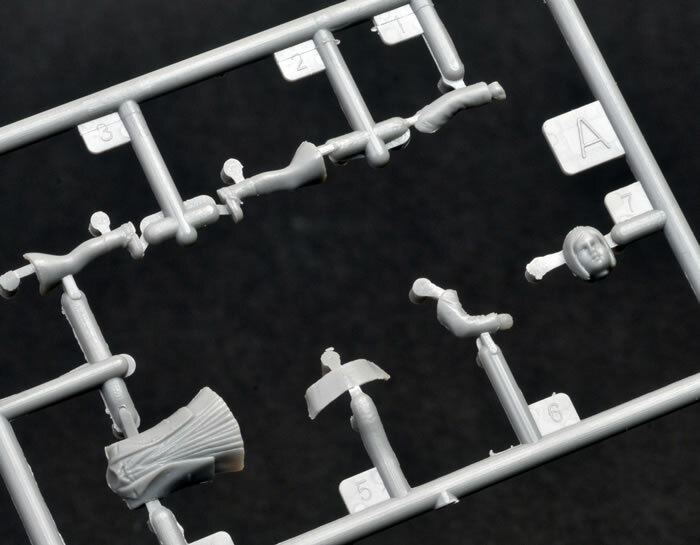 Advantages: High level of detail; beuatifully thin mouldings; optional position windows; separate doors; includes civilian figures. The car is of course a Fiat 500A Topolino and this is the third rendition of this excellent little kit from Bronco. I found it a little perplexing that Bronco would release this kit so soon after the first two releases but still, here it is. 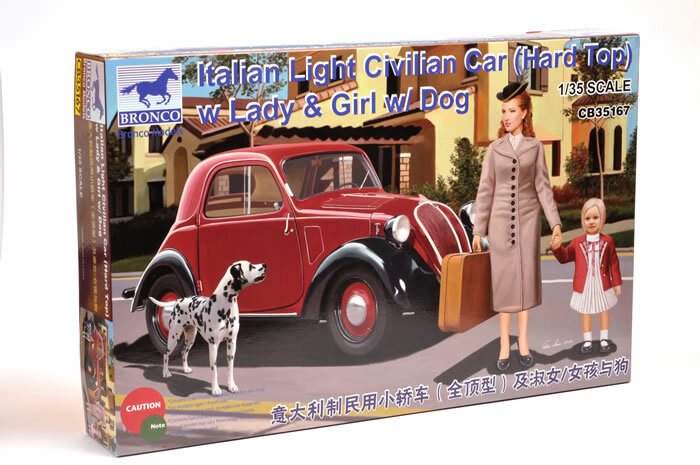 In this rendition we have the addition of two female plastic figures in 1930s style period dress. The figures are very well done with nice, soft feminine facial features in evidence. 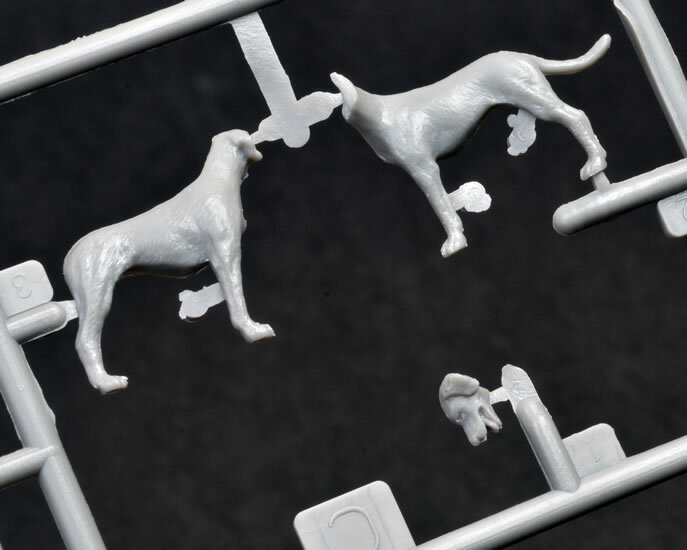 The Dalmatian dog is moulded in three parts and may be one of the best plastic dogs that I have seen in 1:35 scale thus far. The pose would lend itself to any and all applications. 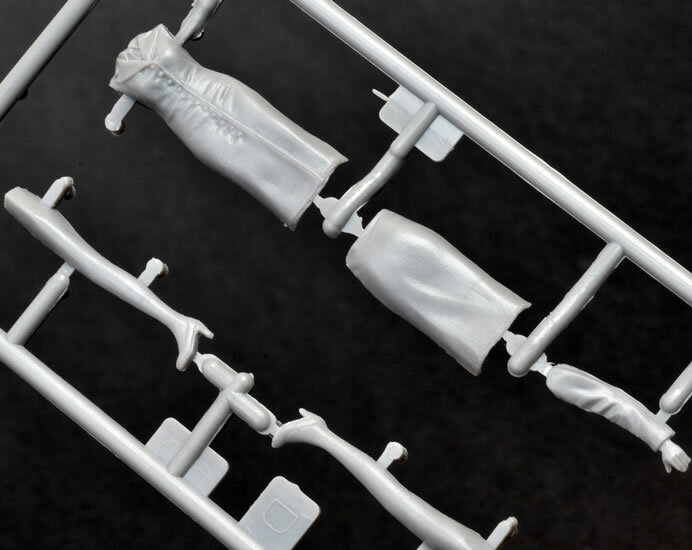 I won’t go into detail about the car as it has already been reviewed twice before in earlier issues, but suffice to say the moulding on the bodywork is a case study on how fine plastic injection moulding can be.